What is equally as exciting as the game’s full incoming launch is that it will be free. 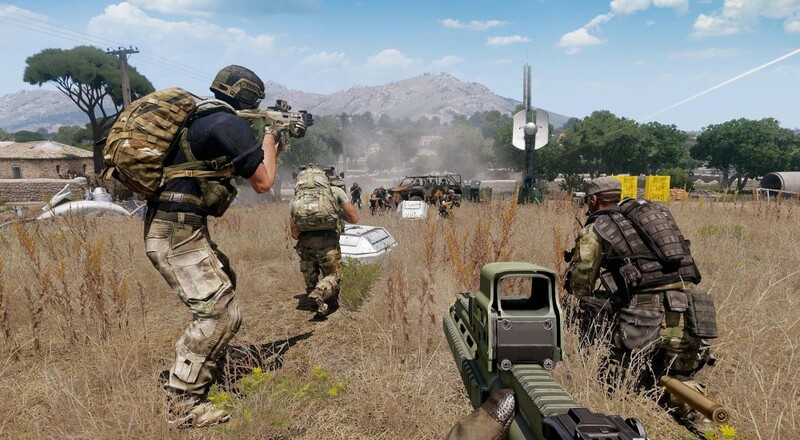 Bohemia Interactive said in its dev diary that it has been using Argo to learn different gameplay mechanics, including taking community feedback to create the co-op features that will be part of the official launch. The studio gives a full list of their learning intentions (as well as their success) with Project Argo here, as well as in the video below. Project Argo was originally designed to be a 5v5 tactical combat game with players taking control of different mercenary factions as they try to collect parts from a downed satellite named Argo. However, with the success of the game, the team has also introduced exciting co-op elements through a Combat Patrol mode, allowing up to 10-players to take on AI foes. While the game is completely free, Bohemia has created DLC to allow players a chance to give back. The “completely optional Argo Supporter Pack” is set to launch alongside the game for $10. The DLC only adds non-essential items, such as animations, reinforcing Bohemia’s goal to make a free game. Will we see you on the battlefield collecting satellite parts, come June 22nd? Or will you be grabbing friends and fighting AI in the new co-op mode? Let us know in the comments below. As always, for all things co-op, stick with your friends here at Co-Optimus.com. Page created in 1.1357 seconds.